must have said yes, because the tandem bike has been a symbol of romance for more than one hundred years since. Just like marriage, the technique takes cooperation and practice. Thank goodness machine embroidery isn’t that much work! 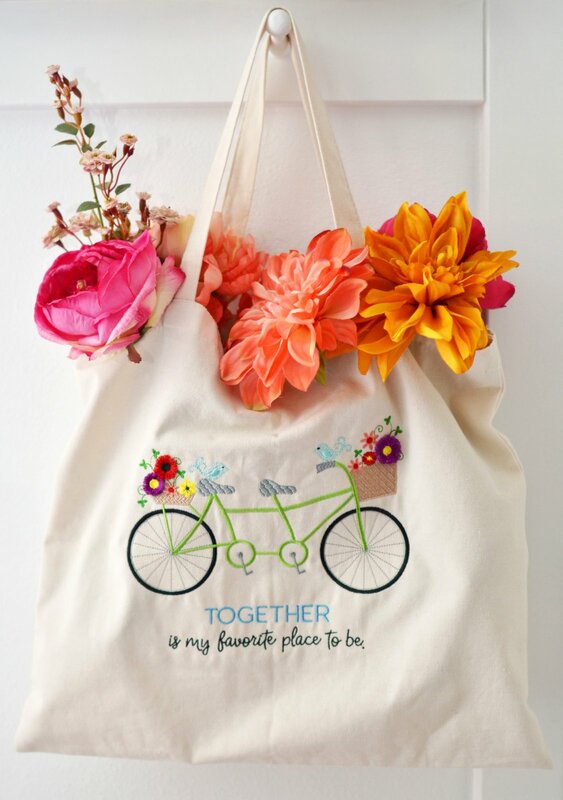 In our tandem design, little lovebirds look sweet perched on the bicycle seat and handles, and we adore the baskets of blossoms with fringe flowers too. Perfect for a picnic tote, you can personalize the design by adding your marriage or anniversary date.